Yesterday I was on BBC Stoke Radio for a little while answering questions about why the #icebucketchallenge has become such a viral phenomena. 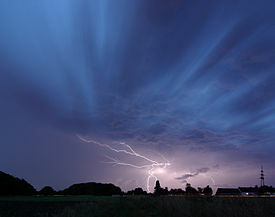 I used the analogy of lightning and how it has be part of a perfect storm of technology and psychology. I didn’t have time to say that much and I was told is would be edited which it wasn’t but you can hear it here. Starts around 1.08 minutes in and lasts about 5 minutes. My point is still valid – which is that trying to predict a viral sensation is like predicted where and when lightning will strike. And as we know for millions of hours of manpower and billions of pounds in investment in meteorology that the weather alone is hard enough to predict. So why are we trying to predict both? One reason is the amount of power in lightening (or a social media phenomena). For it’s mirror the #icebucketchallenge as a phenomena has created more than £50 million in charity donations in a month. So the power of both is potentially amazing. The other reason we investigate it is because the onlooker wants us to.i.e. lightning is impressive, for the media the #icebucketchallenge is amazing. We all want answers. We look to the heavens for answers naturally. So sadly, in reality, even through it amazing. Another way that this is all like a Thunderstorm. Is that one of the rules in weather is that thunder has to come AFTER lightning. Here I think the thunder is like being on the radio or the BBC breakfast sofa talking about after the “event”. Marketing wise, the traditional media is now the thunder, turning up with a bang after the event, making everyone realize what’s happened but always coming after it. Social media now makes lightening happen first. The newspapers thunder on about whether it is a good or a bad thing. Which, of course, missing the point. Lightning is neither good or bad – it just is. Unless you get stuck by it or it sets fire to something…. but again this is subjective. But can you harness viral? The reported for the BBC, didn’t seem to like my answer that you couldn’t predict virality but I truly believe you cannot. Which is why it’s so amazing when it happens like this. 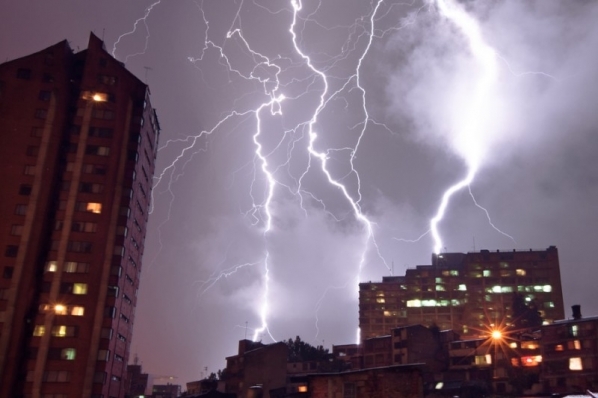 From a scientific POV, it might not even be that great if you COULD power homes off lightning. As even in the best location on earth, the east of the Democratic Republic of the Congo, near Kifuka, where every year about 158 strikes take place per square kilometre. Even if all of the energy from these strikes was captured with 100 per cent efficiency over an area of 5 square kilometres, it would supply only 236 average UK homes. So in the end you cannot harness lightning that easily, just like social it has a mind of it’s own, just like social, lightening strikes and often the most during hot days and lazy nights. Whilst those who try to predict it – can end up looking foolish – and those who tried to contain it do so at their peril. The biggest thing perhaps is that we can learn more and more when these storms and strikes happen and just marvel at how amazing it all is. Plus, remind ourselves that this is probably why we invented electricity, as something we could manage and turn on and off, a little like PPC marketing in the end.